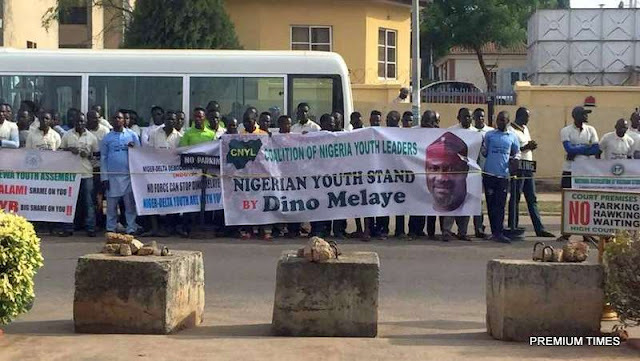 Dozens of placard carrying protesters thronged an Abuja court on Thursday to declare support for a senator, Dino Melaye. Mr. Melaye is being charged for allegedly providing false information of an assassination attempt. Some senators including Ben Murray-Bruce were also in court in solidarity with the Kogi senator.